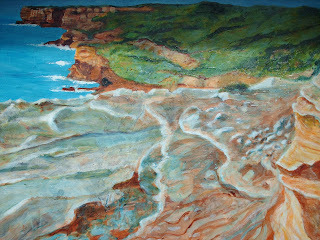 During January 2009 local resident Regina Nazar will be exhibiting a series of landscape paintings of the Royal National Park. Regina has studied art at Penrith TAFE, University of Western Sydney and Macquarie University. During 1994 she was artist-in-residence at the Riversdale property at Arthur Boyd's Bundanon Trust and was twice selected as a finalist, in 1994 and 2005, for the Portia Geach Memorial Award. Regina has exhibited locally and at a number of centres throughout Sydney. She currently resides in Bundeena with her young family. If you visit Sutherland Library in January be sure to make your way around to the back of the Library and have a look at Regina's paintings. All staff at Sutherland Shire Libraries would like to wish everyone who visited us this year a Merry Christmas and a Happy New Year. We look forward to seeing you in 2009. Our hotspot is back! Our problem has been fixed and wireless Internet access is available again at Sutherland Library. We would like to apologise for any inconvenience caused to our users while the hotspot wasn't working.